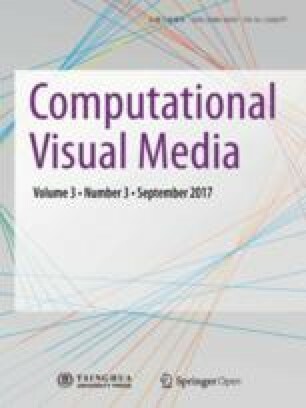 In this paper we present a novel automatic background substitution approach for live video. The objective of background substitution is to extract the foreground from the input video and then combine it with a new background. In this paper, we use a color line model to improve the Gaussian mixture model in the background cut method to obtain a binary foreground segmentation result that is less sensitive to brightness differences. Based on the high quality binary segmentation results, we can automatically create a reliable trimap for alpha matting to refine the segmentation boundary. To make the composition result more realistic, an automatic foreground color adjustment step is added to make the foreground look consistent with the new background. Compared to previous approaches, our method can produce higher quality binary segmentation results, and to the best of our knowledge, this is the first time such an automatic and integrated background substitution system has been proposed which can run in real time, which makes it practical for everyday applications. Haozhi Huang is currently a Ph.D. student in the Department of Computer Science and Technology, Tsinghua University, China. He received his bachelor degree from Tsinghua University, in 2012. His research interests include image and video editing, and computer graphics. Xiaonan Fang is currently an undergraduate student in the Department of Computer Science and Technology, Tsinghua University, China. His research interests include computational geometry, image processing, and video processing. Yufei Ye is currently an undergraduate student in the Department of Computer Science and Technology, Tsinghua University, China. Her research interests lie in video processing, object detection, generative models, unsupervised learning, and representation learning. Songhai Zhang received his Ph.D. degree from Tsinghua University, China, in 2007. He is currently an associate professor in the Department of Computer Science and Technology, Tsinghua University. His research interests include image and video processing, and geometric computing. Paul L. Rosin is a professor in the School of Computer Science & Informatics, Cardiff University, UK. Previous posts include lecturer in the Department of Information Systems and Computing, Brunel University London, UK, research scientist at the Institute for Remote Sensing Applications, Joint Research Centre, Ispra, Italy, and lecturer at Curtin University of Technology, Perth, Australia. His research interests include the representation, segmentation, and grouping of curves, knowledge-based vision systems, early image representations, low level image processing, machine vision approaches to remote sensing, methods for evaluation of approximation algorithms, medical and biological image analysis, mesh processing, non-photorealistic rendering, and the analysis of shape in art and architecture. Supplementary material is available in the online version of this article at http://dx.doi.org/ 10.1007/s41095-016-0074-0. We thank the reviewers for their valuable comments. This work was supported by the National High-Tech R&D Program of China (Project No. 2012AA011903), the National Natural Science Foundation of China (Project No. 61373069), the Research Grant of Beijing Higher Institution Engineering Research Center, and Tsinghua–Tencent Joint Laboratory for Internet Innovation Technology. Supplementary material, approximately 10.3 MB.